Located at the southernmost tip of Europe, Gibraltar is a leading jurisdiction for e-gaming and other e-commerce companies. It has been granting licenses to online casinos, online betting exchanges and online bookmakers since 1998. 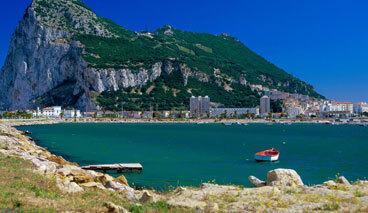 Gibraltar hosts as many as 20 online betting and gaming companies employing approximately 2,000 people. It is a well-recognized offshore financial center with a good reputation for regulation and transparency. Gibraltar strives to maintain its reputation as a leader and this is evident in its laws regarding online gaming licensing. The Licensing Authority will only grant gaming licenses to blue chip companies, with a proven immaculate track record in gaming, a realistic business plan and an established reputable standing. Even still, licenses are difficult to obtain from Gibraltar. From 2005 until 2006, only 15 companies were successful in acquiring a license.The Gaming Commissioner has the power to ensure that licensees conduct their businesses according to their licenses and in a way that will not damagethe good reputation that Gibraltar has achieved. The office of the Financial and Development Secretary in Gibraltar issues gaming licenses. Preparing general information for users and codes of practice for licensees and liaising with regulators in other jurisdictions in order to establish and maintain international best practices and cooperation between different jurisdictions.